The North Strand area of Dublin City, Ireland was bombed by the German Luftwaffe during World War II. The bombing resulted in the deaths of twenty eight people. It was one of many bombing incidents carried out by the Germans in several parts of Ireland during the war. In all thirty four people were killed and many more were injured in Ireland by German bombs during World War II. On the night of the bombing in Dublin, four high-explosive bombs were dropped by German aircraft. Three of the bombs damaged property, injured many but caused no loss of life. The fourth bomb killed 28 people and injured 90. It destroyed 17 houses and severely damaged a large number of others. Over 400 people were left homeless. In the aftermath of the bombing Hitler’s NAZI (National Socialist Party) Government accepted responsibility for the bombing and promised compensation. However it was not until 1958 that compensation was paid by the Government of West Germany. 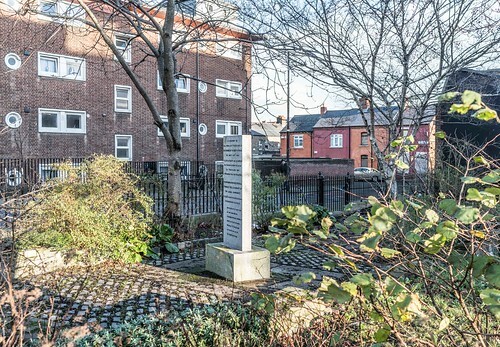 In 2001, on the 60th anniversary of the bombing a plaque was unveiled at Charleville Public Library to commemorate the victims. The terror, death and destruction of the Second World came to the North Strand area of Dublin City in the year 1941 On This Day. 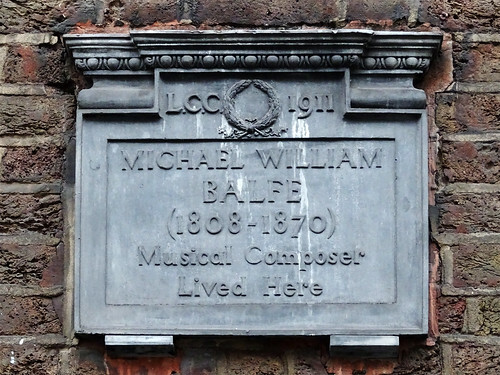 Michael Balfe was a composer and musician who was a native of Dublin, Ireland. The Bohemian Girl which contains the aria ‘I Dreamt That I Dwelt in Marble Halls’ is regarded as his most famous composition. During his career he composed over 20 operas and numerous songs. Michael William Balfe was born in Pitt Street, Dublin on May 15th 1808. The name of the street was changed to Balfe Street by Dublin Corporation in 1917. From a young age his musical talent was apparent. As a child he moved with his family to Wexford. He made his first appearance as a violinist at the age of nine at the Rotunda Concert Rooms in Dublin. At the age of sixteen Balfe moved to London following the death of his father. He played for a time in the orchestra at Drury Lane theatre before moving to Italy in 1825. He sang leading roles in operas by composers such as Rossini. He returned to London in 1833. In 1835 his popularity was established when his first opera in English, The Siege of Rochelle, was produced at Drury Lane. He became a noted conductor and composer during his lifetime. There is a large statue of Balfe in the entrance foyer of the Drury Lane Theatre Royal, London. Michael Balfe, composer and musician who was a native of Dublin gave his first public performance at the Rotunda Concert Rooms in Dublin in the year 1917 On This Day. John B Keane was a playwright and novelist who was a native of Co Kerry, Ireland. 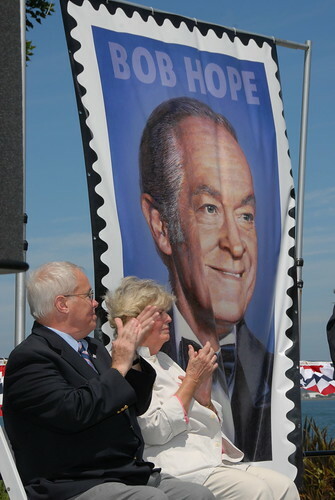 He was also the author of ‘Letters of a Successful TD’ and ‘Letters of a Love-Hungry Farmer’. Keane was a member of Aosdána and an Honorary Life Member of the Royal Dublin Society. John Brendan Keane was born in Listowel Co Kerry in 1928. He was educated locally and in 1946 began working as a chemist’s assistant. He later said that his chief task there was preparing ointment for the Earl of Doneraile’s piles. 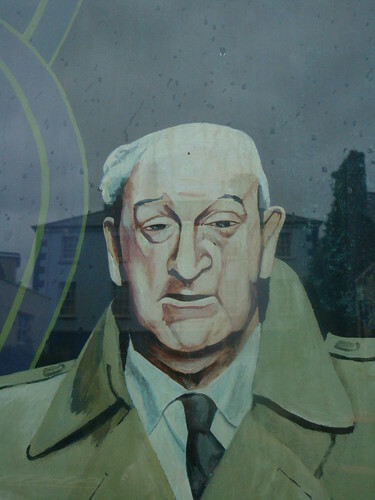 In 1951 Keane moved to England where he worked at various jobs. He returned to Ireland in 1955 and bought a pub in his native Listowel. The pub gave him the opportunity to observe the changes in rural Ireland during his lifetime. Keane’s first play ‘Sive’ was rejected by the Abbey Theatre in Dublin. However it won first prize in the All-Ireland Drama Festival in Athlone in 1955. The play was a great success but was not staged by the Abbey Theatre until 1985. By then Keane was a popular playwright, novelist and essayist. He went on to write 26 publications including, The Field (1965), Big Maggie (1969) and Moll (1991). John B Keane, playwright and novelist died at his home in Listowel, Co Kerry in the year 2002 On This Day. 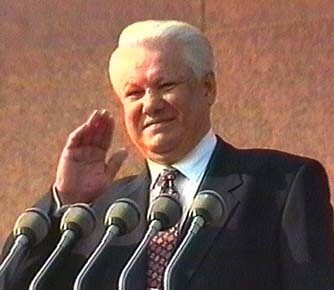 Boris Yeltsin was the first President of the Russian Federation serving from 1991 to 1999. During his first term as President he made a stopover at Shannon Airport on September 30th 1994. At the time he was returning to Moscow following a visit to the US. He was due to hold talks with An Taoiseach Albert Reynolds. However the meeting had to be cancelled because the Russian President failed to emerge from his jet. It was reported that he was sleeping and was not wakened on medical advice. Boris Yeltsin was born in Sverdlovsk [now Yekaterinburg], Russia on the border between Europe and Asia on February 1st 1931. Having studied at the Ural Polytechnic Institute he majored in construction and worked in the building industry. He became active in politics, eventually being appointed mayor of Moscow by Mikhail Gorbachev in 1985. However he was critical of Gorbachev and the slow pace of reform and was forced to resign in 1987. He continued to campaign for reform and was elected President of the Russian Federation in June 1991. Boris Yeltsin was elected the chairman of the Russian Supreme Soviet in the year 1990 On This Day.